The Expat Compass: Expat NewsBurst: Maharashtra Govt Unlocks Agricultural Land For Industry and Educational Institutes. 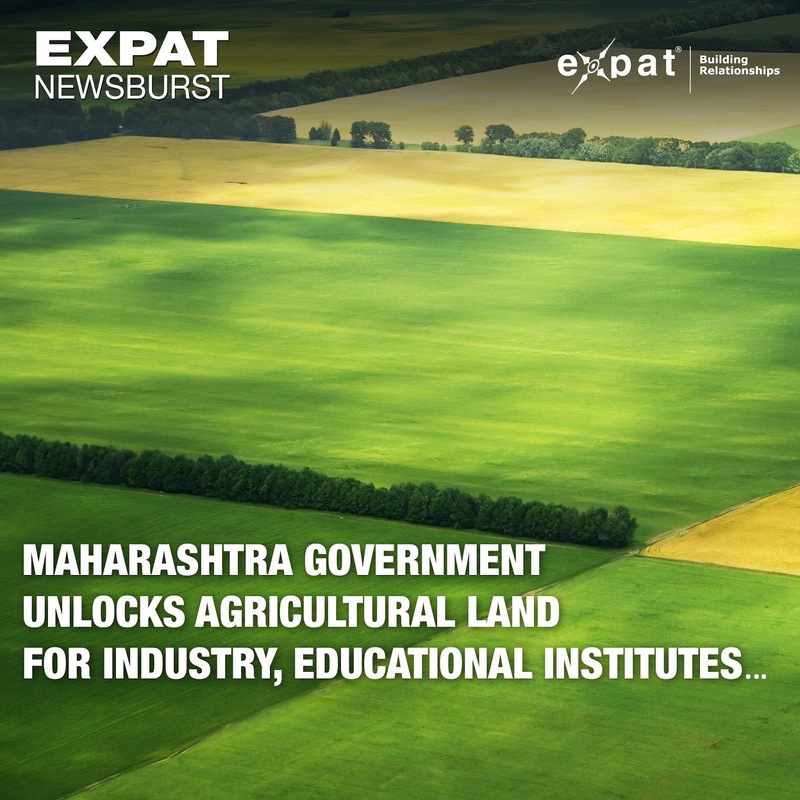 Expat NewsBurst: Maharashtra Govt Unlocks Agricultural Land For Industry and Educational Institutes. The Maharashtra government has amended land laws to unlock agricultural land for industry as well as public educational and medical institutes, to promote the ease of business under its Make in Maharashtra policy. Under the changed rules, industrial units will be allowed to exploit up to nine times the existing building rights on agricultural land. Medical and educational institutes run by the state or public charitable trusts will be able to build up to four times the existing building rights on these lands. However, the building rights have been capped at a maximum of 1 FSI which will essentially allow a ground plus one-storey structure, officials said.